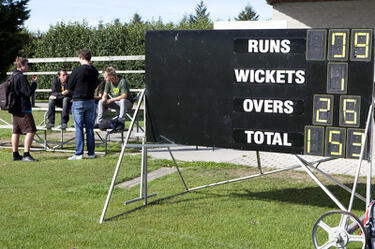 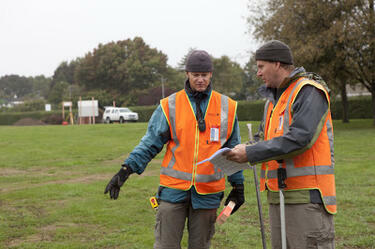 Showing 1 - 20 of 938 results. 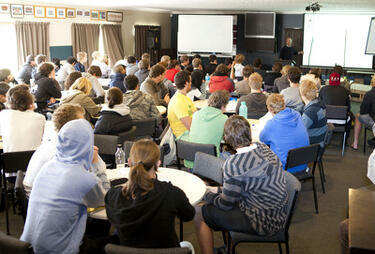 Mechanical Engineer students having lectures at Ohoka/Mandeville Showground. 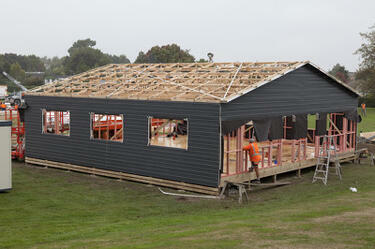 Lectures have been held in tents and in the bar at Ohoka/Mandeville showground since the February earthquake. 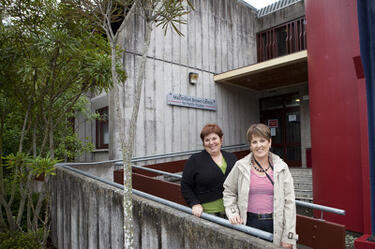 College of Arts staff are being housed in the Macmillan Brown Centre. 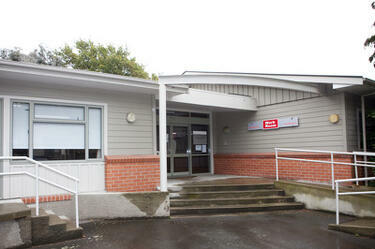 The School of Social Work makes spaces for more computer work spaces, and also the Business and Economics college office. 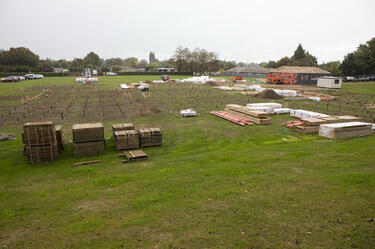 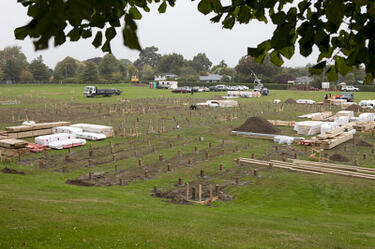 Construction work taking place at the Oval Village. 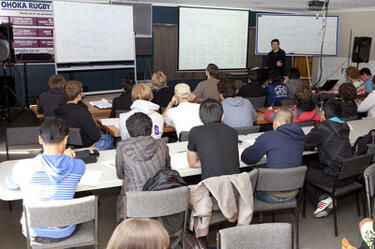 Mechanical Engineer students taking classes at the Ohoka/Mandeville Showground. 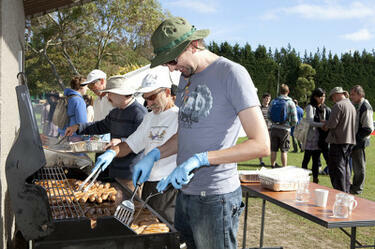 Barbeque for the the mechanical Engineer students who are having their lectures at Ohoka/Mandeville Showground. 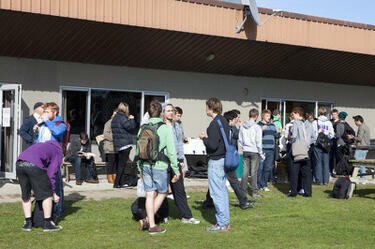 Students eating lunch at the Ohoka/Mandeville Showgrounds where mechanical Engineer students are having their lectures following the 2011 earthquake. 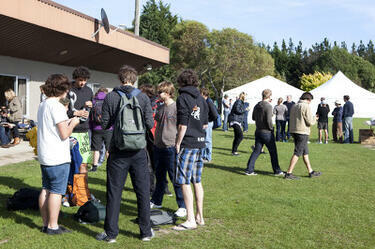 Barbeque at the Ohoka/Mandeville Showgrounds where mechanical Engineer students are having their lectures following the 2011 earthquake. 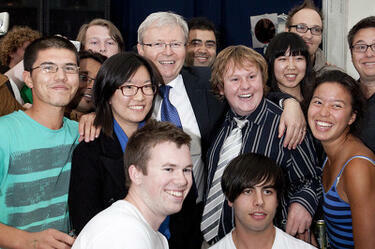 Australian Foreign Minister Kevin Rudd photographer with students during his visit to Campus during the progressive restart. 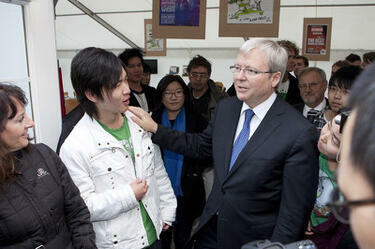 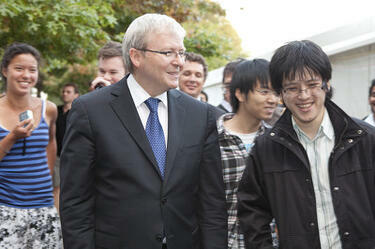 Australian Foreign Minister Kevin Rudd photographed with student during his visit to Campus during the progressive restart. 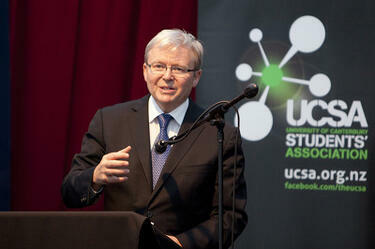 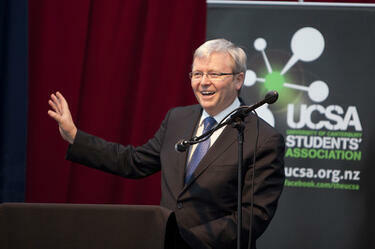 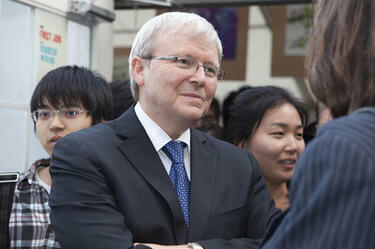 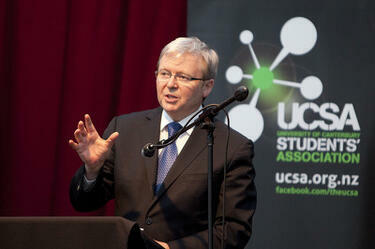 Australian Foreign Minister Kevin Rudd addresses staff and students in the Big Top.